All has been quiet on the blog front since Jake arrived in September, but life has been very much the opposite. Jake is now seven and a half months, and Gerald & Joan celebrated its third birthday in January. Both of my babies are thriving, and despite many changes, I'm excited to share that we (Jake and I) are taking on Gerald & Joan projects. 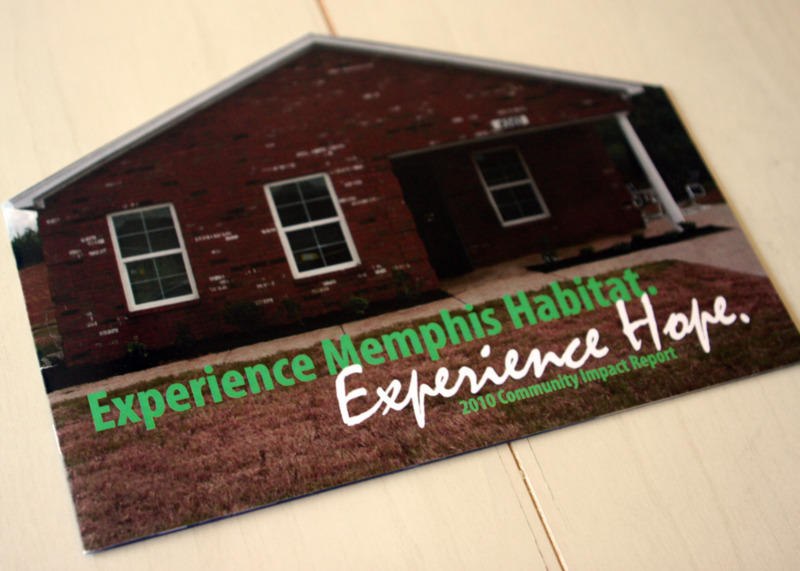 Since June, the studio has been working with Common Table Health Alliance, a regional health and healthcare collaborative that serves the Memphis area, and I'm currently finishing up several large design projects for them. Another clients include Baptist Memorial Health Care Foundation and Laurel Markovich, a local author. I'm also serving as a committee volunteer for Habitat for Humanity of Greater Memphis' Jimmy and Rosalynn Carter Work Project. Over the past three years, our focus has changed as we've grown and developed, but we've recently come full-circle. I'm channeling my ten years of work experience and currently only accepting nonprofit and small business clients. When I started Gerald & Joan, I desperately needed a break from nonprofit and small business work, but I've discovered that when I partner with the right clients, marketing and graphic design for nonprofits and small businesses are my true passions. I'm excited to see where this chapter takes us! Me and Joan during my second trip to California. While summer doesn't technically start until June 21, Memorial Day feels like the beginning of summer. The season brings change for us this year...a whole lot of change. The obvious one is the baby, but there are also changes coming to Gerald & Joan. After next week, Gerald & Joan will become my full-time business again. I'm both excited and nervous about this huge life change. Working part-time in the nonprofit world over the past year has been great for my confidence (thank you, Common Table Health Alliance! ), and the plan is to (re)introduce nonprofit and small business marketing and brand consulting to my services and offerings. I also hope to grow my vintage-inspirated stationery lines and continue offering some preservation services. The key is to figure out my work flow and schedule for the next three months...and then be prepared to throw it all out the window and start from scratch again after the baby comes. This creature of habit is about to get a bunch of lessons in dealing with change, but I recognize that learning to adapt to change is exactly what I need at this point in my life. As I prepare for the next chapter, I am humbled that I have the opportunity to be building this business from my home-based studio. I am honored that I have family and friends who have supported Gerald & Joan from the beginning. I am blessed to have the most supportive husband in the world. If it wasn't for the seed of Gerald & Joan that was planted in our hearts and minds during our last California vacation in October 2012, I'm not sure we would be where we are today. It set the wheels in motion for a baby and a move to Germantown. It has allowed me to reconnect to my ancestral and career roots. It has given me the greatest gift -- to be fulfilled in my career while also spending precious time with my husband, our pets and our son. June marks the official countdown until we meet Baby Hardin, but it also a time of growth for Gerald & Joan. Stay tuned for lots of changes...they are coming very soon. For the past few months, I've been fortunate to work with the incredibly talented and charming Ellen McGowan. Ellen is a 91-year-old sculptor who is more energetic than most 31-year-olds, and I had the honor of spending the first few months of my pregnancy planning and designing her new website. She was actually the second person after our family that I told about the baby, and she has since become its fairy godmother -- a title that suits her very well considering that she is a petite lady with rosy cheeks and the most wonderful sparkle in her eyes. If it isn't obvious, Ellen is one special lady. She creates beautiful sculptures and uses a computer on a daily basis. She deserved a website where she could showcase big, beautiful images of her work and share news about upcoming exhibits. I also I knew she was fully capable of adding and changing content after the site was completed -- something she couldn't do with her old site. We spent several hours selecting her favorite photographs that we would feature on the new site, and then I scanned and edited each image. Next we created a simple sitemap and designed the site layout. I then put together a user's guide for Ellen and taught her how to make basic updates to her site. She enjoyed every minute of her tutorial and has already made several changes. We plan to review everything again in a few weeks once she finishes a big sculpture, but she is a natural! It has been an absolute joy to work with this lady during this special time in my life. Please check out her site and browse through her work. She is a true inspiration!